No homeowner wants to experience a flood. When persistent storms combine with a barrier that is not watertight, intrusions can occur and disrupt life as you know it. 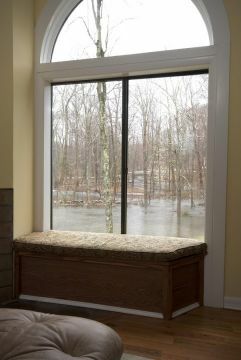 Should you be faced with flood damage in your home, we can help. Anytime Restoration has provided quick and hassle-free restoration services to homeowners after they have experienced a flood. With our 28 years of experience, you can trust us to remove the water from your home as well as provide professional dry-out services that eliminate the risk of lingering odors, mold, and/or mildew. Contact us today at (612) 254-9542 to schedule an immediate assessment. Not all flood damage restoration companies are created equal. At Anytime Restoration, we pride ourselves on providing full-service flood damage solutions for you and your home, and we work diligently to get your home back to normal quickly. Plus, we’re open and honest about our flood damage restoration process, so you’re always in the know about what happens next. Trusted team members from Anytime Restoration will visit your home to assess your flood damage and create an action plan of how to address the situation. When you’re ready to fix your home after a flood, choose the experts at Anytime Restoration today by calling us at (612) 254-9542 right away.